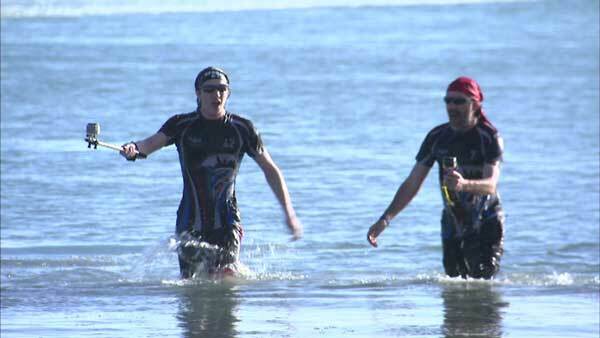 WAUKEGAN, Ill. (WLS) -- The weather was frigid, but it couldn't stop hundreds of Illinois residents from taking a charitable dip into Lake Michigan. The 16th Annual Waukegan Polar Bear Plunge benefited northern Lake County's special recreational services. About 400 people took a quick dip into the water Thursday. Hollers and laughs were followed by splashing and shivering along the far north suburban lakefront.